One of the first questions people ask when it comes to building a website is: How much does it REALLY cost to build a website? The truth is, the cost of building a website depends entirely on your personal budget and goals. However, in this article, we’ll show you how much it will really cost to put up a website for most people. What Tools Do You Need to Build a Website? You don’t necessarily have to hire a developer to build a website. Even if you’re not tech savvy, you can build any type of website on a budget thanks to different tools available on the web. That said, if you don’t have a clue what tools you’ll need to build a website, chances are you’ll overspend your budget on things that you’ll never need. No matter what type of website you want to create, it’s important to know what tools you’ll need for setting up your site. Your domain name is your website’s address on the internet, like Google.com or IsItWP.com. It’s what your customers type into their browsers to access your website. Once you register a domain name, you’ll get the right to use that name for your website for a year. You are required to renew your domain from the same domain name registrar as long as you want to keep the name for your site. And if you ever lose interest in a domain name, then you can let it expire so that someone else can purchase it. Check out these best blog name generators. Whether you’re an absolute beginner or a seasoned developer, you’ll need to use a website builder to create a website. Regardless of your skillset, a website builder makes it easy to create a stunning website the way you desire. Plus, it also enables you to easily add essential features like SEO tags, plugins, etc. without hassle. When building a website, we always recommend you to choose self-hosted WordPress as your website builder. WordPress is the platform of choice for almost 30% of all website owners. It gives you endless possibilities to create and enhance your website the way you want. It also gives you complete control over your website. For more details, you should check out this article on why use WordPress. For more details, you can read the best website builders for beginners. WordPress is a free and open source software. You’ll need to purchase a domain name and web hosting in order to install WordPress and start building a website on top of it. Web hosting is like the home of your website. This is where you store the content and files of your website. There are a lot of different types of web hosting services such as shared hosting, VPS hosting, cheap hosting, WordPress hosting, blog hosting, dedicated server, etc. When you’re starting out, we recommend you to choose shared hosting or WordPress hosting because both are ideal choices for most website owners in terms of affordability and needs. You can read more about different types of web hosting services. How Much Does Building a Typical Website Cost You? Depending on your needs, building a website can cost anywhere between $100 and $500. If you need a feature-rich, custom-built website, it can go as high as $30,000 or more. To build a small website, you’ll need to have a budget for the domain name and web hosting. A domain name usually costs around $14.99 per year and web hosting around $7.99 per month. Altogether, starting a site will cost you as low as $110.87 annually. That’s why we’ve worked out a deal with Bluehost to offer our users a free domain name, free SSL, and over 60% off on web hosting. Bluehost is one of the largest hosting companies in the world. They have been involved in the WordPress community since 2005, and they are an officially recommended hosting provider by WordPress.org. You should also check out this Bluehost review for more details. To save on cost, you can choose a free WordPress theme and plugins from WordPress repository. Now we’ve seen how much it costs to build an entry-level website. As you grow, you can purchase a professional WordPress theme and add enhanced functionalities with premium plugins. Before you add random plugins to your site, it’s important to ask yourself a few questions to understand your goals. This helps you avoid overspending when setting up your WordPress website. 1. What’s the realistic budget for your website? Building a website that you can’t afford will be a disaster. Double-check your budget before you spend on premium themes or plugins. We always recommend you to keep the costs as low as possible when you’re starting out. 2. Do you need a custom-built website? Installing a pre-built WordPress theme is the easiest way to roll out a new website. It also helps you save on costs, so you don’t have to hire a WordPress developer. However, if you want to give a unique look and feel to your website, then you’ll have to build a custom WordPress theme, either by yourself or by hiring a developer. Rates charged by WordPress developers vary from $20 to $100 an hour. 3. What features will you need? When starting out, you won’t need all the bells and whistles that you see on other cool websites. Even if you start small, it’s essential to write down the list of features you’ll need down the line. This helps you streamline the entire development process and focus on features that are of high priority. It also helps you minimize the cost as you grow. Installing a free theme and plugins gives you a head start towards building a WordPress website with a minimal budget. As you grow and your needs evolve, you might want to enhance your website with more additional features. Adding more features also means your website cost will start to increase. If you’re anticipating growth, then it makes sense to switch over to a more powerful hosting service like SiteGround’s GoGeek plan. Of course, it costs a little more than Bluehost. However, it comes with a lot of premium features like staging, faster performance, and the ability to handle up to 100,000 visitors per month. Read our complete Siteground Review to learn more about this web hosting company. You may also want to find a premium WordPress theme for your site to give your website a professional appearance. The best thing is that premium themes often with extra features and priority support. See our expert selection of best WordPress themes for some great premium WordPress themes you can install on your site. WPForms – Adds a drag and drop form builder. Check out our WPForms review. MonsterInsights – Enables you to install Google Analytics. Check out our MonsterInsights review. Beaver Builder – Transforms WordPress into a drag and drop page builder. Envira Gallery – The best WordPress responsive gallery plugin. Check out our Envira Gallery review. Constant Contact – The email marketing service we recommend to growing businesses. OptinMonster – Transforms your website into a lead generation machine. Check out our OptinMonster review. UpdraftPlus – The best WordPress backup plugin. Read our UpdraftPlus review. Sucuri Firewall – The best WordPress security plugin. Read our Sucuri review. Depending on the premium products you choose, your website setup cost can be anywhere between $500 and $1000 per year. The eCommerce industry is booming and research shows that it’s been growing 3X faster than traditional retailers. If you’re looking to step your foot into eCommerce business, it’s the right time to start an online store. Creating an online store helps you expand your business around the globe, 24/7. Best of all, compared to offline businesses, it’s easy to start an online store without breaking your bank account. Of course, you’ll need both a domain name and hosting to start an online store. While there are many eCommerce hosting companies, we recommend using Bluehost WooCommerce plan when you’re starting out. WooCommerce is the most popular and comprehensive eCommerce plugin for WordPress. 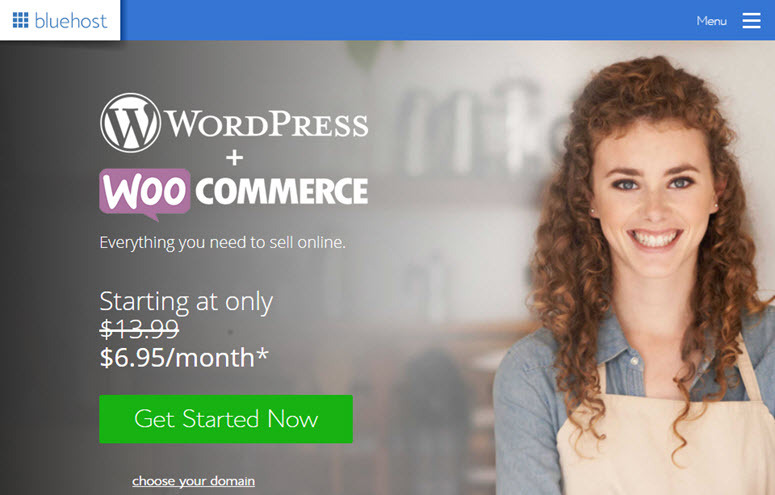 WooCommerce pre-installed: The WooCommerce plan comes pre-installed with WordPress and WooCommerce which makes it easy to start an online store. SSL certificate: To handle payments on your online store, you may need an SSL certificate. An SSL certificate is also included in your Bluehost WooCommerce plan. 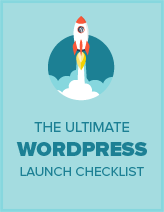 Dedicated support: A team of dedicated WordPress experts is standing by 24/7 to assist you. A free domain name: You can waive off the domain registration fee for a year. If you want to build an entry-level eCommerce website powered by WooCommerce, then it will cost around $190 per year. The price may go higher if you’d like to install premium addons and a premium theme for your online store. If you’re looking for an alternative, then check out these best WooCommerce hosting providers. Starting small is the best way to avoid overpaying and cut down on spending. To save on costs, you can always explore the free WordPress theme and plugin directories to enhance your website. Once you start attracting visitors, you can consider adding a premium theme and premium plugins. To stay within your budget, always keep an eye out for WordPress deals and coupons to get huge discounts on your purchases. A growing website will also need a more powerful hosting configuration than an entry-level website. You may also need to optimize your WordPress server on a regular basis. To operate your site on a server that’s uniquely optimized for the security configuration of WordPress, consider hosting your site on managed WordPress hosting. We hope this article helped you understand how much it will cost to build a website.